I often record screencast of my Windows computer using CamStudio – a popular screen recorder for Windows. And since we edit all TechWiser videos using FCP on macOS, I have to transfer those clips from my Windows machine to macOS. But there is one small problem. CamStudio save the screencast in mp4, but for some reason, FCP doesn’t accept that format, even though, it’s compatible with mp4. One workaround to this problem is to convert those videos again to mp4, using a video convertor. And then it works fine. Now, while desktop video convertors are a great choice if you have bunch of files to convert, an online video convertor is more convenient for occasional use. Not to forget, you can use it on mobile devices as well. This is why, I prefer online video convertor. And while there is no shortage of them, most of them are filled with popup ads or have file size limit. Keepvid is familiar name when it comes to downloading video from sites like Facebook and Youtube. And they recently released a free online video convertor, which they ask us to review. So here we are. To start with, the service is free and the interface simple. There is no sign up required (which I like). You upload the video you want to convert (we’ll come to supported format later on) choose what format you want in the result. Once you hit the convert now button, it upload the file to the cloud server, process it, and give you back the results. We ran some test to find out the compatible format, video processing time, upload limits etc. And these were our results. 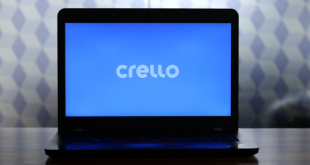 The first test was simple, we tried KeepVid on 4 most popular desktop browser. And as expected, it supports all popular browser such as Chrome, Firefox, Safari, and Opera. To test video processing time, I uploaded this HD video (1080p) and choose to convert it from mp4 to mov format. Surprising, before I can even start my stopwatch to measure the processing time, the video was converted in less than 2 secs. To give you a perspective, converting the same video on handbrake (an open source video convertor) took me roughly 2 mins. So, I tested KeepVid again, with 4 different browser and different format; the result was same. The processing time is surprisingly fast, it looks like KeepVid converts the video, while it’s being uploaded. This make since, since they ask the final video format before you start uploading the video. However, I’m not sure, it that’s really the case. In laymen terms, it meaning, if you have a fast uploading and downloading speed, it almost feel like a desktop video convertor. 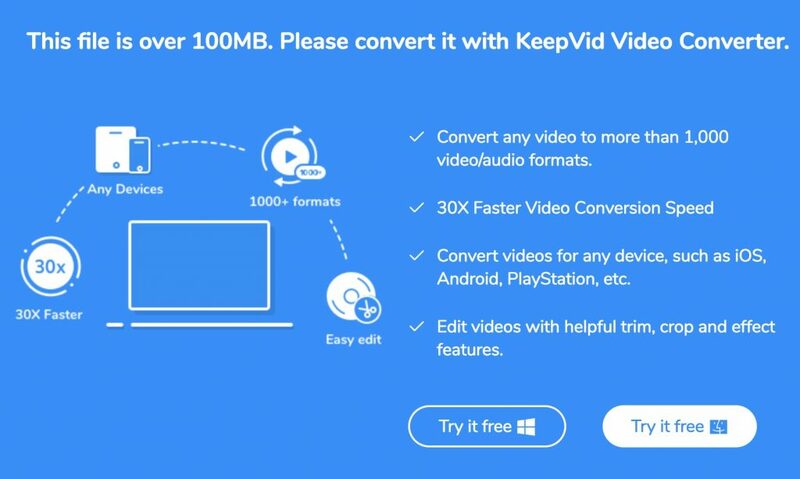 Looks like KeepVid can convert videos up to 100MB (there is no time limit though). If you upload a video longer than 100 MB, the site will give you a popup, recommending their own desktop video convertor which you can try for free or use Handbrake – a popular open source video editor. This 100 MB upload limit can be a deal breaker for few, but since it’s an online video convertor it make sense, since most people will convert small clips on the go. If you are converting video bigger than this, it’s better to use a desktop or mobile app. 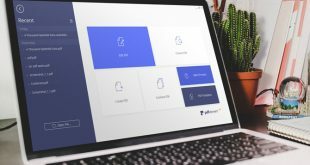 Read: Wondershare Video Converter Review – Is it worth it? While it’s not possible for us, to test each and every audio/video format, we tried some of the most popular one like mp4, mov, mp3, avi etc. And as expected they all worked fine. It also supports 4k, though you can only convert 4K videos to lower quality like 1080p or 720p. You can also extract a audio out of the video, which might come in handy in mobile devices for setting up ringtones. One cool thing I like about the site is device support. Say if you want to play a video on your iPad but not sure about the supported format, KeepVid can take care of that. Also, once the video is converted, you have the option to save it directly to your Dropbox account. Which is kind of cool, if you are in hurry or have a terrible download speed at the moment. There is no option to select files an URL or Dropbox. 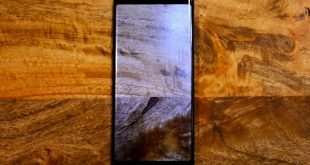 As of now, you can only upload video from your computer or mobile devices. Keepvid video convertor is a clutter-free online video converter that supports great selection of formats. If you just want to convert small video clips from your mobile or desktop, the site is perfect for you. Overall, the sites is free (no ads at the time of writhing this post) and does what it claims. Processing speed is surprisingly fast. Some people might find 100 MB upload limit a little bit off beat, but from small movie clips it gets the job done. What do you think about this free service? Do you prefer a desktop video convertor instead. Let us know in the comments below. 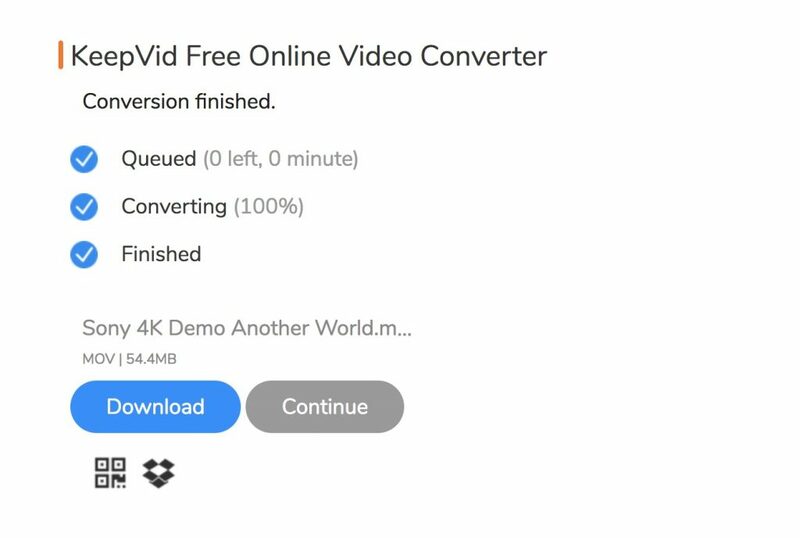 Read: KeepVid Pro: Download Any Video From the Internet? This is a Sponsored review by KeepVid.